Imagine being given the "building blocks" that allow you to construct an infinite number of dimensional works of art, using as many elements as you like! Painting techniques to create striking and aged finishes. Working with epoxy clay as a construction tool for joining disparate objects. How to create realistic molds from any objects that catch your fancy. Combining epoxy clay with polymer clay for additional solutions. An easy way to make your own texturing tools. And that's just a start! Become inspired by this exciting new medium. 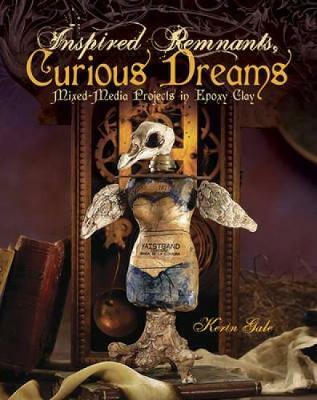 Let Inspired Remnants, Curious Dreams be your imagination's springboard into an incredible new world. You'll never look at dimensional mixed-media art the same way again!